I feel like I've fallen into some alternate reality Cold War worst case scenario, or been inserted into the plot of Fallout 4. I bought a Geiger counter on Ebay today. This is the DRSB-88, a "modern" Russian-made handheld Geiger counter. It doesn't look much like the old civil defense Geiger counters that you may be familiar with from old movies (and that every fallout shelter and school in the United States used to be stocked with), but it works pretty much the same way. 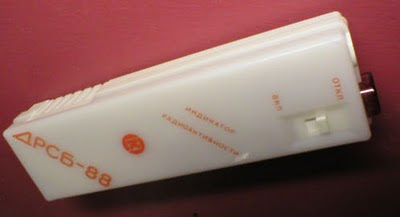 It counts radiation particles per minute, and it clicks and lights up whenever it detects one (so yes, it makes the familiar Geiger counter sound - here's a video demonstration, and no, that is not me). It doesn't have a visual meter, but I couldn't afford one that does right now. This is probably the cheapest true Geiger counter you can buy at the moment. These things used to sell for like $15, even a few weeks ago. I paid $125 for this one, and it's used. This is about the going rate right now. A month ago, these things were curiosities, leftovers from the Cold War that nobody knew what to do with. Now, there is not enough supply to keep up with demand. 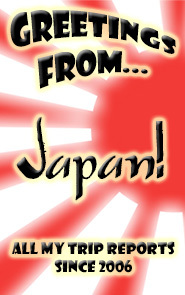 2) To reassure myself on our trip to Japan in a couple months - yes, we're going! I really hope the TSA doesn't confiscate my Geiger counter for some dumb reason. I'm trying to protect myself and my wife from radiation, so I must be a terrorist! That I even feel this is necessary, though, tells me there is something very wrong in the world. 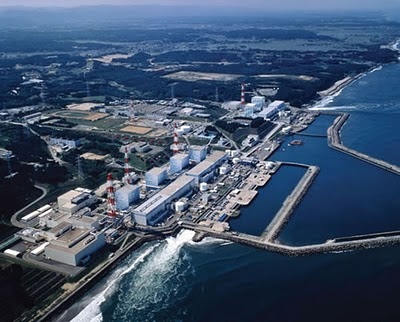 I am old enough to remember Three Mile Island and of course Chernobyl, and now we have Fukushima Dai-ichi. You know, when a person can be 38 years old and have lived through three major nuclear accidents, at least one of which affects me personally from thousands of miles away, it makes you think it's about time for us collectively to re-evaluate some things. I generally don't really have strong feelings about nuclear power one way or the other, but you know what they say... fool me once, shame on you, fool me twice, shame on me. What do they say about getting fooled a third time? It's pretty clear that despite our best efforts, we are going to have occasional nuclear accidents. Is it really worth it? How much of the world do we need to make uninhabitable? If you've seen my last few posts, you know I'm following this story pretty closely. I'm basically completely obsessed with it. My wife's family lives one prefecture over from Fukushima, and we have a business that relies almost exclusively on products shipped from Tokyo. So I've got good reasons for keeping my eyes glued to this nuclear plant. Over the past day or so, I've gotten a real feeling that the technicians working to try to prevent disaster are starting to turn a corner. You would never know this by reading the American press, which continues to call it a "widening disaster" and an "unfolding catastrophe" and says that technicians are growing "increasingly desperate". But looking at a variety of sources, many of which are a lot more knowledgeable on nuclear matters than the American press, I've gotten a different picture over the past 24 hours. No, they're definitely not out of the woods, and things could still go very wrong. But I just get the sense that Japan is starting to figure this thing out. Reuters live blog - this is where I've gotten a lot of my other links. And they post every little bit of info, without too much commentary. The other users often make informative comments with good links too. 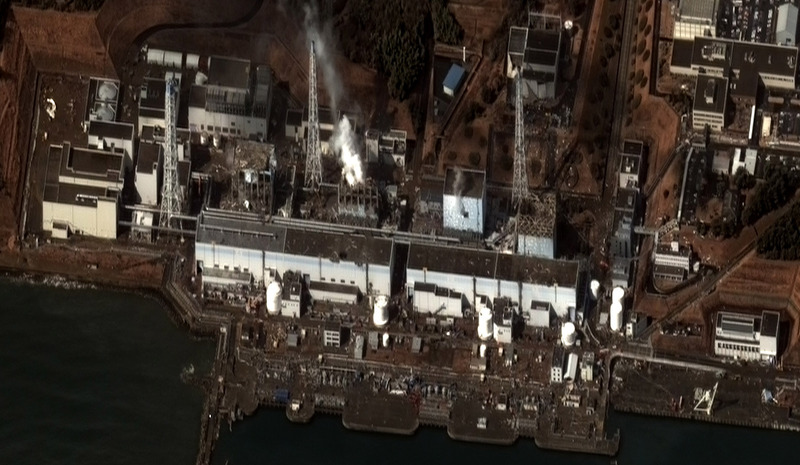 Fukushima Daiichi webcam - not the best angle, but this public webcam has been useful in knowing whether the plant is spewing smoke or steam at any given hour. (It's updated at the top of each hour during the day.) It's been fairly quiet lately. It's safe to assume at this point that any smoke or steam you do see is radioactive. Tokyo live Geiger counter - I posted this earlier. It's been in the normal range for two days straight now. Chiba prefecture live Geiger counter - this one's streaming video of an actual meter someone has in front of a camera. It has also been in the normal range for 2 days, after spiking several times before that. Target map of radiation readings by prefecture - also posted earlier, seems to be updated hourly. 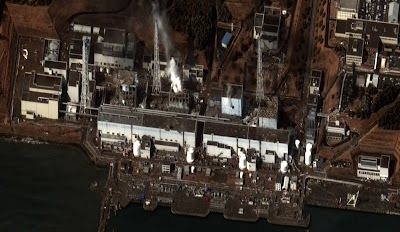 Prefectures around the plant are elevated but not dangerous. 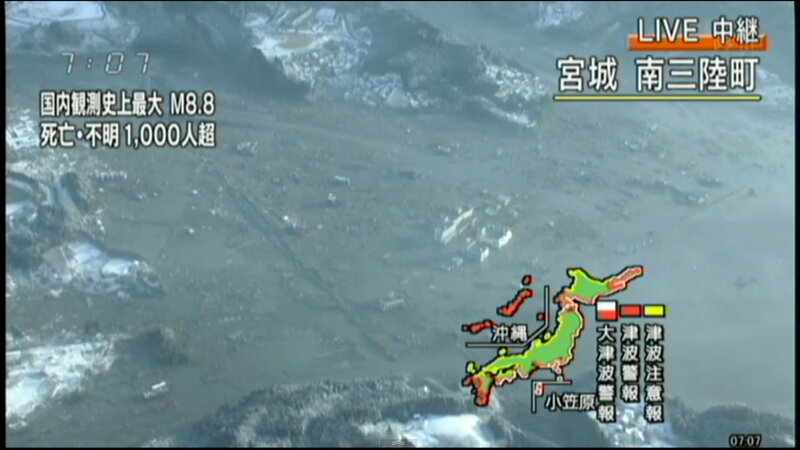 Fukushima itself is "under survey", which probably means it's censored (and most likely pretty radiated). TEPCO's English press site - the operator of the plant, Tokyo Electric Power Company. Their updates are not always timely, but they do sometimes post info that the mainstream sites somehow seem to miss. For example, the reports that 2 employees were missing after one of the blasts at the plant was first posted on this site. NHK World Live stream - I watched the tsunami live as it happened on this stream, and they've been pretty good since then on the nuclear crisis too. An example of what public television should be all about! They have actually mostly returned now to a "Headline News" style format where they just re-run a collection of stories over and over, but it's still usually more informative than CNN or MSNBC, and occasionally they will break in and show a TEPCO news conference or other event live. They also often show segments from their Japanese broadcast (translated to English) where they have experts explain what's going on at the plant - sometimes these aren't any better than the equivalent "expert" segments you'd see on TV here, but the reporters at least know the difference between a reactor and a spent fuel pool. Radiation units - kind of tangential, but this is a very straightforward explanation of the various terms used in measuring radiation and what they mean, with some real-world examples. I've found myself referring to this writeup so many times over the past few days that I just leave the tab open all the time in my browser now. I feel like I've had a crash course in nuclear technology over the past week, but I still get confused when people talk about rems vs. rads vs. sieverts vs. grays. Looking at all of those sources, I know that the reactors themselves at the plant have been mostly stabilized, the injection of water into the spent fuel pools seems to have actually worked (though there doesn't seem to be verification of this), and electricity is going to be restored to at least part of the plant either today or tomorrow. Hopefully that will get some of the primary cooling back online. There is reason to hope, though we won't really know that things are fully under control for several weeks even in a best case scenario. The graph is showing Geiger counts per minute. 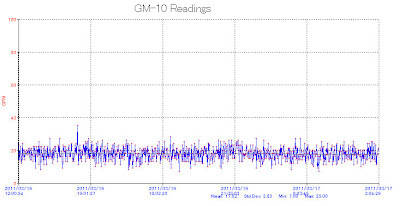 Around 100CPM = 1 microsievert/hr, the common measurement you're hearing in the news around the Fukushima Daiichi plant accident. Around 1 millisievert (1,000 microsieverts) per year is normal radiation exposure. (Tokyo's normal range of 15-20CPM, equivalent to .15-.20 microsieverts per hour, works out to around 1.5 millisieverts per year, which is pretty common for a congested urban area.) 100 millisieverts (100,000 microsieverts) in a short period of time can cause a severe risk of injury or cancer, but levels below that can also cause increased risks over time. As you can see, at the moment the radiation level is pretty normal (this is equal to the reference graph below it on the site). But there have been times over the past few days when it has spiked a bit, though nowhere near a dangerous level. I personally probably wouldn't really start to worry until I saw this meter inching up past 5,000CPM. Even that is still low level radiation, but if it goes that high so far from the plant, it's definitely worth watching, at least. That would still be just 50 microsieverts/hr. For reference, a typical CT scan is about 15 millisieverts (15,000 microsieverts), but it's worth remembering in any example like that that you don't typically have a CT scan for more than a few minutes at a time, and doctors won't let you have more than a couple per year. So whenever you see people cite such examples, they're not really examples of radiation you can live with on a continuous basis - but they are examples of what the human body can absorb in a short period of time without any ill effects. If you're in Tokyo or know anyone who is, it may be worth checking the site linked above every once in a while until the situation in Fukushima is resolved, especially given the useless government and TEPCO announcements that aren't telling anyone what's actually going on there. Not much I can say about this earthquake and tsunami except that thankfully, my wife and I don't think we know anyone who was personally caught up in it. I know that a lot of other people do, though, and my heart goes out to them. I watched the tsunami come in live as it happened, and it was one of the most surreal and horrifying sights I've ever seen. Please donate to either the Red Cross or Global Giving to help the victims. Incidentally, a high quality live stream of BS TV's ongoing coverage can be found here. I need to start writing more here again. I'm starting to feel limited by 120 character text boxes. 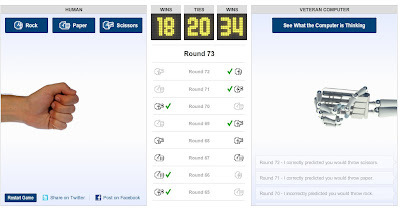 Watson, IBM's Jeopardy-playing AI computer that we've all been talking about lately, was a major achievement in natural speech recognition. But it was not particularly adept at gaming; Jeopardy is not the kind of game where you need to search for patterns in gameplay and factor in the unpredictability of your human opponents. Most modern chess-playing computers aren't either; rather, they take a brute force approach, analyzing all possible moves to their natural conclusion and making the one that produced a positive result in the most scenarios. This has been made possible with increases in computing speed and power over the past couple decades. The Times' rock paper scissors game is a true "AI" in that it's learning from patterns it gleans from its human opponents. It's a harbinger of the future; for AI to be truly useful, it will need to learn what we want and adapt, without us needing to continuously program new sets of instructions into our Butler-bot 3000's every time our routine changes slightly. AI will need to learn human patterns on its own (in addition to natural language) to accomplish basic tasks without help, and without screwing things up. I tried to beat the Times' computer by being human; that is, by doing things I thought the computer would find unpredictable. The problem is, other humans apparently thought the same way I did, and every "unpredictable" move I made (like choosing paper five times in a row) was easily thwarted by the computer's AI. If it ever comes down to it and we end up with a self-aware Skynet-like network that's out to get us, it's not going to be our "human-ness" that wins the war. We think like a collective even when we're trying not to, and we play right into the AI's hands when we try to be unpredictable. That "randomness" isn't really random, and the AI has already factored it in. Ironically, when machines lose in movies and TV shows like the Terminator series, Battlestar Galactica and The Matrix, it's not because we've shown our human thinking to be superior. It's because the machines have started thinking like humans, failing to anticipate or even guard against the possibility of an "unpredictable" pattern that should have been thoroughly predictable to a machine designed to look for it. (Remember that Skynet in the Terminator films was created to identify and respond to enemy attacks. The Matrix franchise at least explicitly acknowledges the same plot hole in its films with both the Oracle and Architect characters, but then moves forth with it anyway because it wouldn't be very exciting to a human audience if we lost.) This will not happen in real life. Real computers don't suddenly have lapses in pattern recognition, or conveniently ignore or even forget logic trees. These are human foibles. 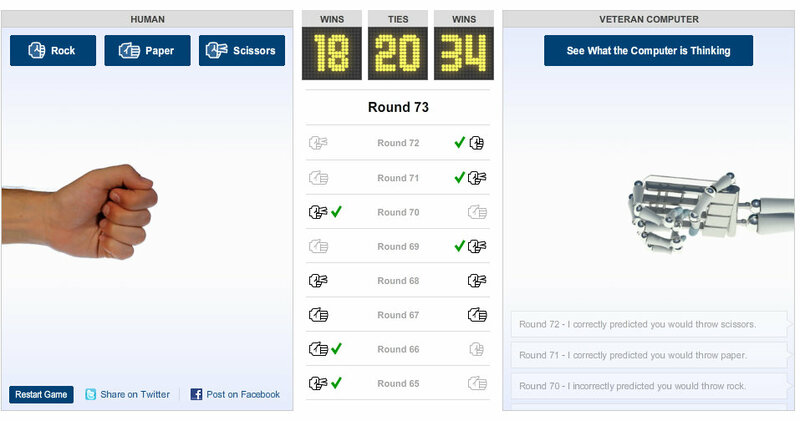 In fact, the one mini-winning streak I went on in my rock, paper, scissors game was when I intentionally tried to think like a computer, analyzing both my own previous patterns and the patterns of the computer. I then tried to predict the computer's move based on what it probably thought my next move would be. Doing this, I was able to win about 50% of the time, for a little while. But I eventually regressed into my human ways, because I am a human (regardless what you may have heard). If we ever need to beat an advanced and malevolent computer AI, we are going to need to learn how to think like computers. Our humanity won't save us. P.S. Of course, a computer could never come up with a scene like this. Rock flies right through paper! 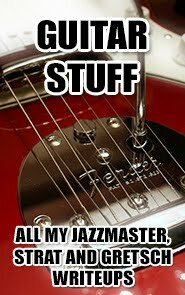 Nothing beats rock!